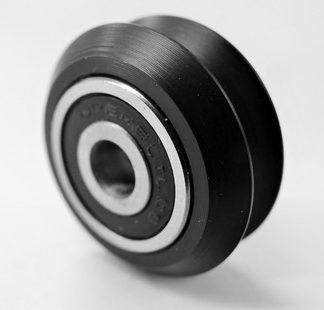 The Xtreme Mini Wheel is part of the heavy duty Xtreme line of parts, designed with strength in mind. 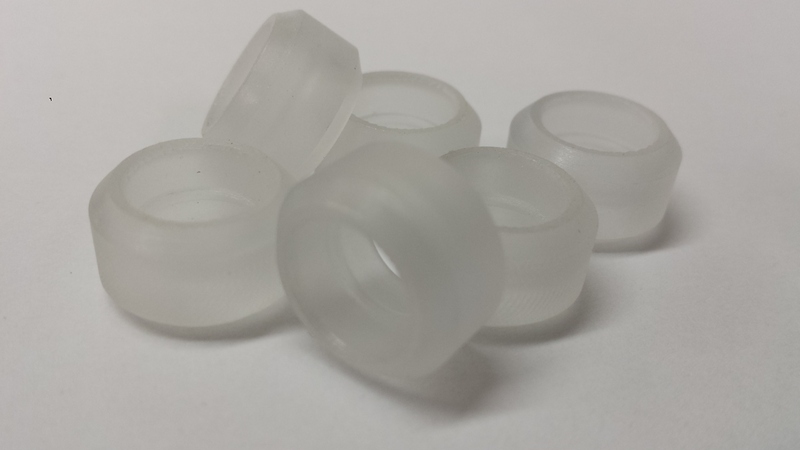 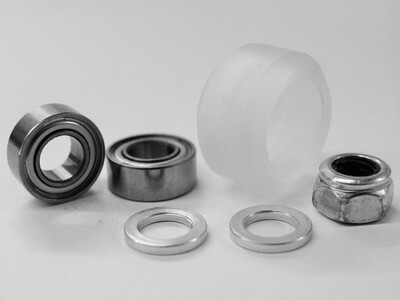 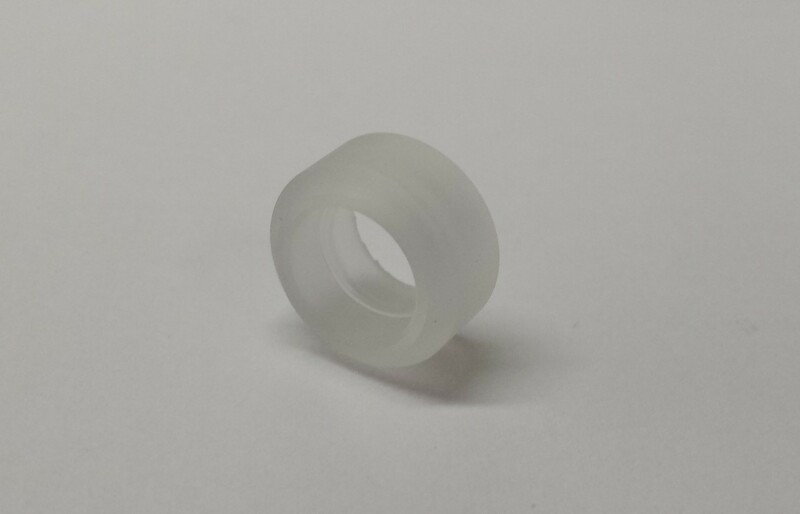 These Xtreme Mini V’s are made from very hard polycarbonate (clear) material which, due to its strong nature, will resist compression and wear and, in turn, leads to better overall precision and strength for your builds. 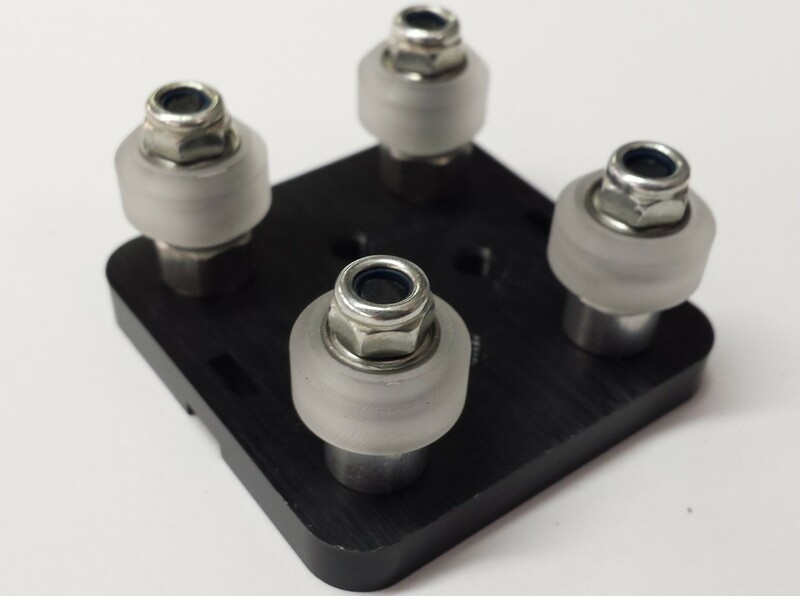 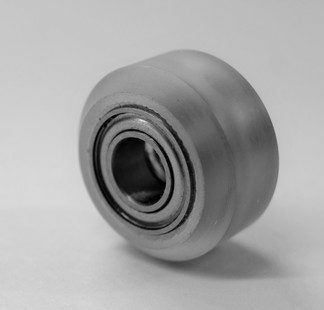 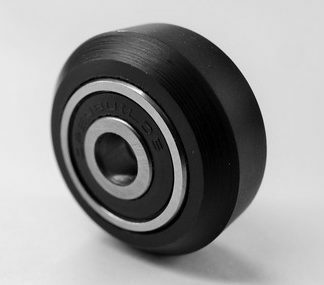 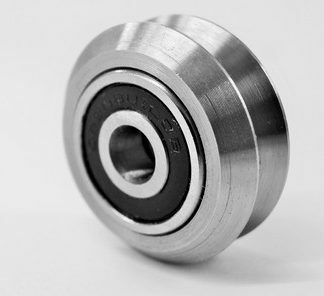 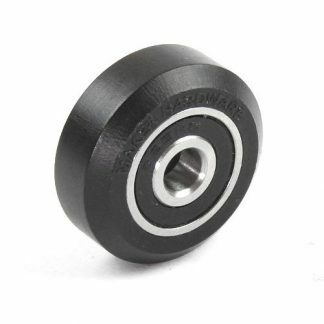 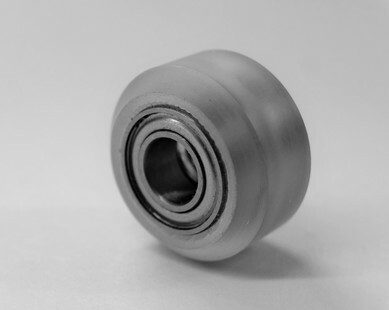 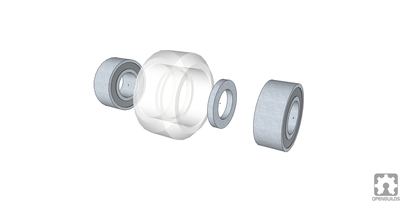 The Xtreme Wheels are designed to be used as a heavy duty alternative to the Delrin Wheels in applications such as CNC Routers/Mills where force and weight are introduced into the system. 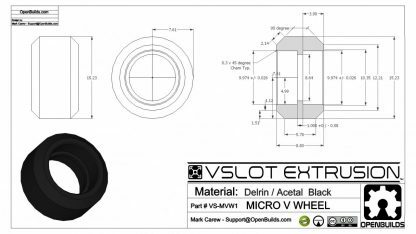 So, while the Delrin Mini V Wheels work great for most light load applications the Xtreme Mini Wheels can be used for builds where heavier loads are required and less compression in the delrin is desired. 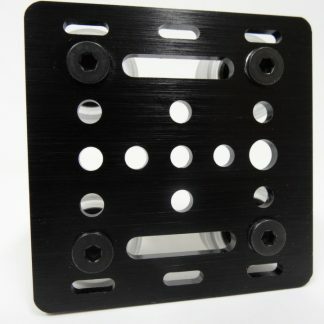 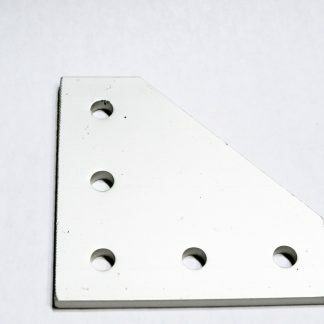 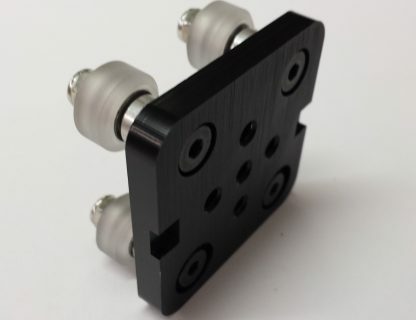 Don’t forget to order your Spacers, Eccentric Spacers and Low Profile Screws! 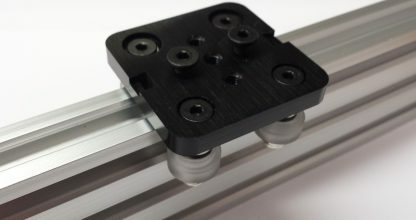 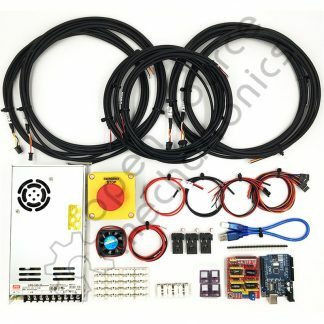 The Xtreme Mini V Wheel is great for use with the V-Slot Linear Guide System. 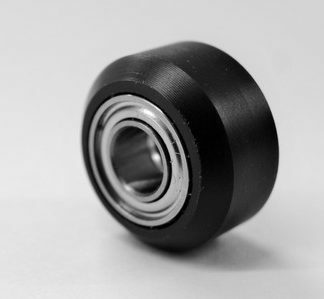 Note: The 2 Mini Shim are placed in-between the two bearings. 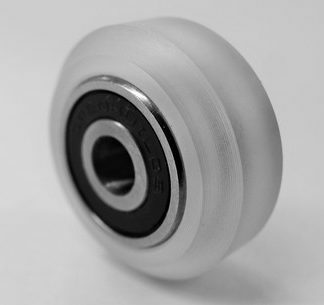 To assemble, first push one bearing into the wheel. 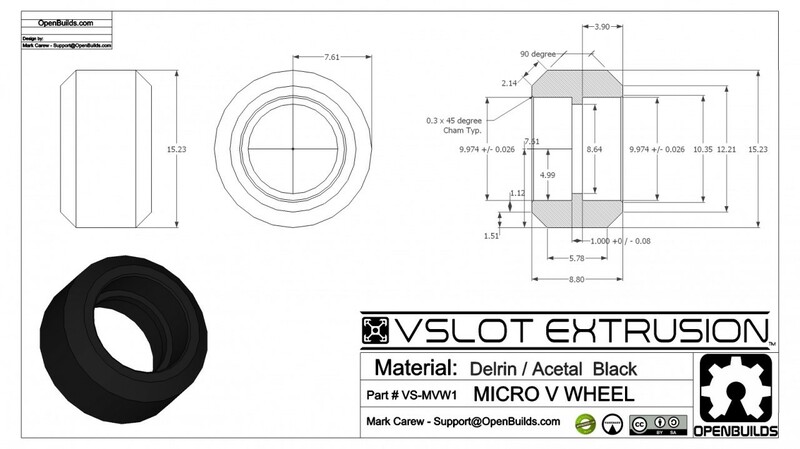 Then using the screw as a guide push the 2 Mini Shim and 2nd bearing into the other side of the wheel.